2 very low noise transformers (one per channel). Metal box in order to preserve all interferences on the audio stages. Setup is directly accessible from back panel. 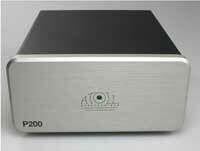 The P200 is an external phono module with separated 24V power supply. 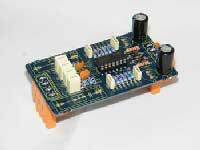 Symetrical circuitry with discrete components and use high quality capacitors (MKP technology) for low noise and harmonic distorsion with excellent sonic performance. External adjustments include MM or MC, input impedance (47 or 100K Ω) and capacitance (0 or 100) on the back panel. The P50 was designed to be fitted in our IN (except IN30) & PR series. It offer a good sonic performance at a very reasonable price. 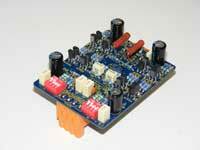 It is compatible with most moving magnet phono cartridges and has a fixed impedance of 47 kΩ with 100pf capacitance.